Oh pooh…it’s not a black rabbit…! Is it a black rabbit…? 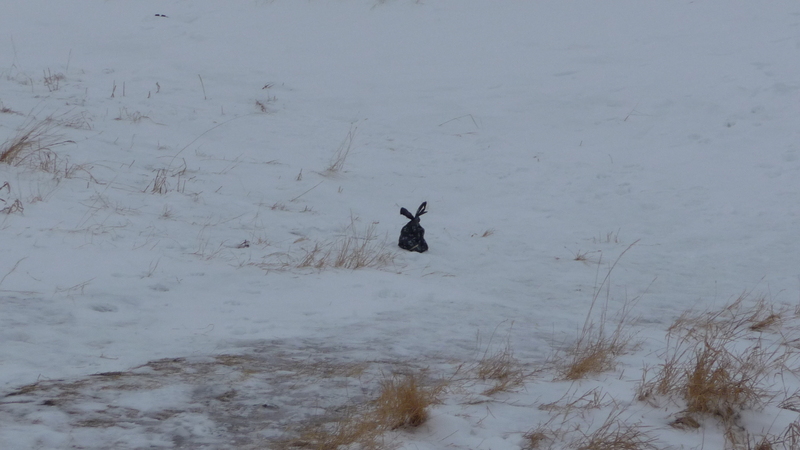 The afternoon Pooch Walk boys were excited to see what they thought was a black rabbit at Nose Hill today. Closer scrutiny revealed something far less interesting…an abandoned bag of poop…! Disappointing (on a number of levels). However, I suppose if it has to be left at least make it look like part of the scenery. As ever, you never know what you will find on the Pooch Walk! This entry was posted in Dog Walking, Dogs, Life, Musings and tagged Black Rabbit, Nose Hill, pooh, poop, poop bag, rabbit. Bookmark the permalink.